Your favorite Yo-kai return to battle in the latest iteration of Yo-kai Watch. 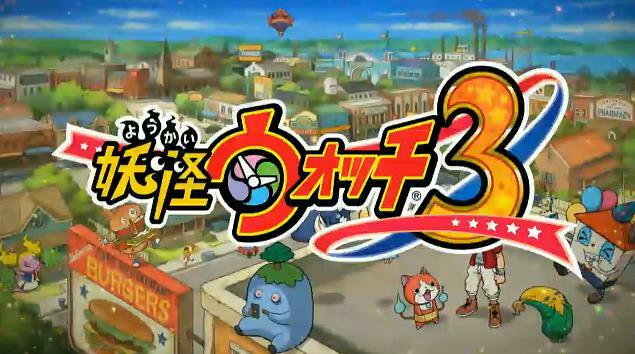 Yo-kai Watch 3 is coming up on the horizon for Japanese gamers, and it's looking pretty sweet. It's getting its own dual-release version with both Yo-kai Watch Sushi and Tempura, which are hitting Japanese stores on July 16. The latest trailer shows off the battle system, which has been massively tweaked since the original game debuted in America -- if you played the Nintendo-published release, you'll probably find it a sight different from what's already out there. For instance, Yo-kai will still engage in battle on their own, but you'll have to swap around Yo-kai Medals on the touch screen to move them around to your liking. Check it out below and see if you think it's looking more to your liking or like something you're not so sure you want to engage in. Personally, I'm still wishing that you could control the Yo-kai individually, as it makes for some pretty frustrating battles when they just do whatever they want to do.